For small and medium-sized businesses, technology can make a difference when it comes to advancing and differentiates them from their competitors regardless of their size. CRM has become a solution to modernize companies. Microsoft Dynamics CRM will allow you to maintain all the information regarding your customers, suppliers, marketing, sales processes and service in a centralized system. Relationships with your clients are more than just keeping you satisfied. They have to do with really getting to know the customers so they can personalize their experiences. Microsoft Dynamics CRM Online helps you build relationships with your customers. Totally adaptable to the needs of your company, you can develop all kinds of extensions completely tailor-made. It has the possibility of developing all kinds of interfaces with other programs that it provides, as long as they allow some kind of integration. A tool that can be used as an extension to Microsoft Outlook. It can also be used only from a web browser, with the same interface user. Staying connected to your customers inspires loyalty and allows you to discover opportunities Easily contact your customers the way they want (email, instant messaging, phone, video) with a single click from your Dynamics CRM solution. With all of this, the learning curve of Microsoft Dynamics CRM is minimal, taking advantage of the tool from day one. Evotec Consulting has the CRM Software Advisor certification, which endorses us as consultants specialized in Microsoft Dynamics CRM. 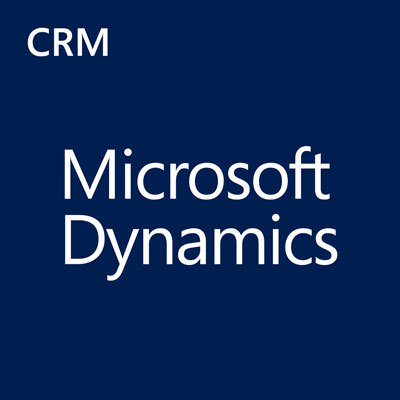 Dynamics CRM Online becomes part of Microsoft's cloud productivity suite applications, under the brand name Dynamics 365.